It is very common to develop problem with walking or getting imbalance as we get older. It could arise from many underlying causes. It is important that you discuss your problems with your primary care who can guide to go to neurologist and or physical therapist. Physical therapist plays major role with gait and balance. The common causes include arthritis, neuropathy, stroke, vertigo or inner ear problems, Parkinsonism, multiple sclerosis, disc problems, recent fracture, surgery, injury. Treatment for each above mentioned condition is different but in most cases physical therapy may help patient. Once patient is scheduled with us. On their first visit our physical therapist will evaluate you in detail and try to understand impairment and underlying causes. Once they conduct detail assessment therapist will speak to your physician if there any discrepancy in findings. Exercise is the best way to manage lot of patient with balance and gait abnormalities. The primary goal of physical therapist is to help patient to bring their muscle strength to normal, modify their activity if it needs to, and make sure patient is performing their activities of daily living without trouble. Physical therapist will work change exercises routing progressively to get optimum muscle strengthening and balance. 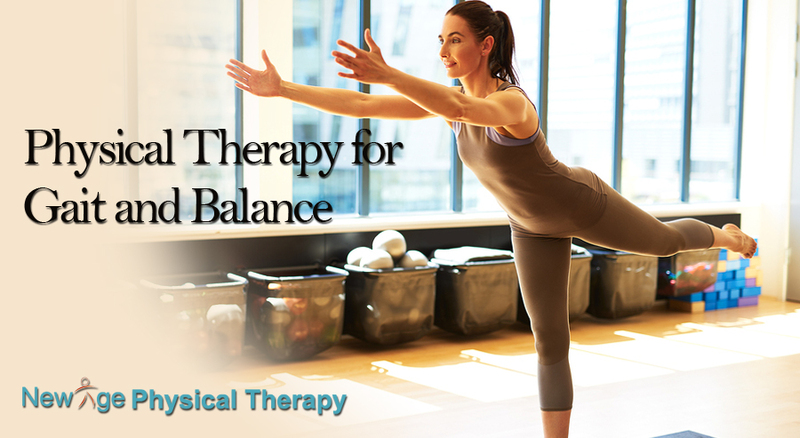 Physical therapy plays a very important role in the recovery of patients who have balance and gait problems. Treatment may vary and depends on many factors. 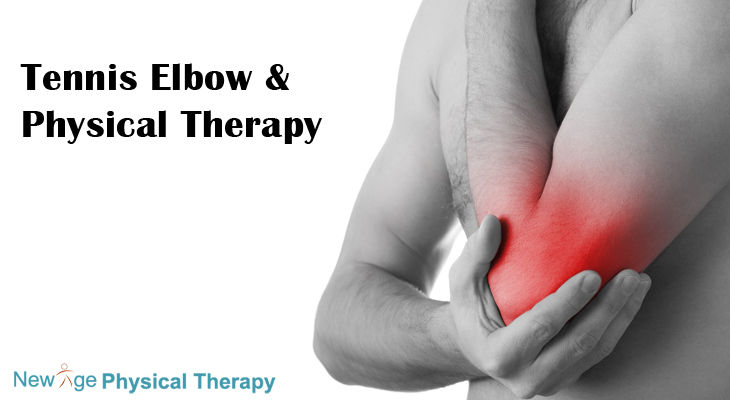 Tennis Elbow & Physical Therapy! Tennis elbow is one of the most common overuse elbow injury. Patient doesn’t have to play tennis to have this condition. Many patients when we are discussing their condition they say they never played tennis in their life. You don’t have to play tennis to have tennis elbow. Medical term for tennis elbow physical therapy is lateral epicodylitis. Tennis elbow is an overuse injury. It is caused by repetitivemovements which put stress on tendons which are situated outside of the elbow and helps us move hand backward. This is an injury of common extensor origin tendons which controls wrist extension. It is very common in tennis players, but in reality it can impact anyone who performs repetitive movements;people who work manual labor jobs like construction, carpenters, Plummer, Painters and machine operator etc. Pain in the outer elbow, especially when gripping something, lifting, shaking hand, getting up from chair, opening a jar. Tenderness or swelling outer side of elbow. Weakness in wrist extensor and/or painful wrist extension. Every patient is different, depend upon condition treatment may vary. In acute cases in other words in recent injury most likely to use cold packs;some therapist may use cold packs even in chronic condition because it’s an inflammatory condition. Physical therapist may use electrical stimulation, ultrasound, soft tissue massage and specific exercises. Doctor may try pain medication (anti-inflammatory, analgesic, oral cortisone) or give injection. If you have tried cold pack, hot packs and other home remedies at home which have failed you can contact your physician or physical therapist. New Age Physical Therapy provides you with personalized, one-on-one care you deserve in a friendly atmosphere. Our therapists have more than 15 years’ experience and are up to date with current techniques and treatments. All of our patients receive individual attention with the same provider during each and every visit. Our goal is to restore each patient to his or her highest possible level of function. With March Madness just got over, and NBA basketball playoffs are in sight. We still have got basketball on the mind – as many people do at this time every year. Many people working on their brackets, physical therapist are ready to deal with injuries which arise from basketball. All players playing at college, NBA level are very well conditioned and trained. They still get hurt and need to warm up properly in order to avoid injuries. Meanwhile weekend worrier, who just started playing outside as weather is getting better have to be more careful to avoid injuries playing basketball. All players must do good warm up and stretches before starting game. All players should condition themselves and have proper footwear while playing. Regardless of your age, if you have an injury playing basketball, physical therapy can help you to recover from your injury. Physical therapy can help you to reduce pain, increase range of motion and improve muscle strength. 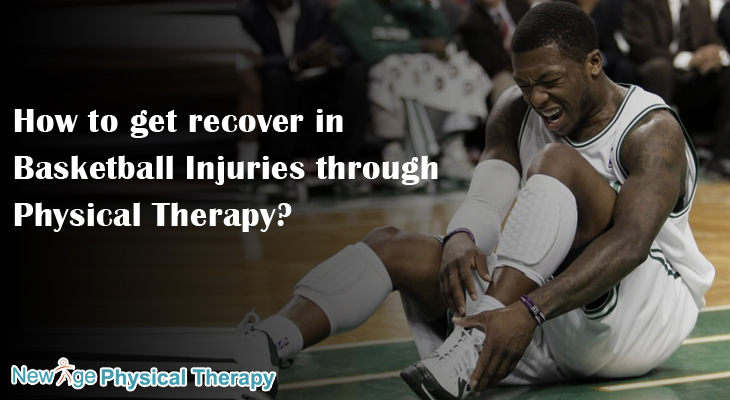 Most of us don’t get luxury of a professional basketball player and get personal physical therapist. Here at New Age Physical Therapy we tailored each patient’s treatment depends on their injury and get them back to playing basketball as soon as possible. New York State allows direct access to physical therapy. That means you get to make an appointment whether or not you have a prior prescription from another physician. Our physical therapist is highly motives have more than 16 years of experience in outpatient physical therapy. If have been injured playing basketball, contact us today to set up an appointment. 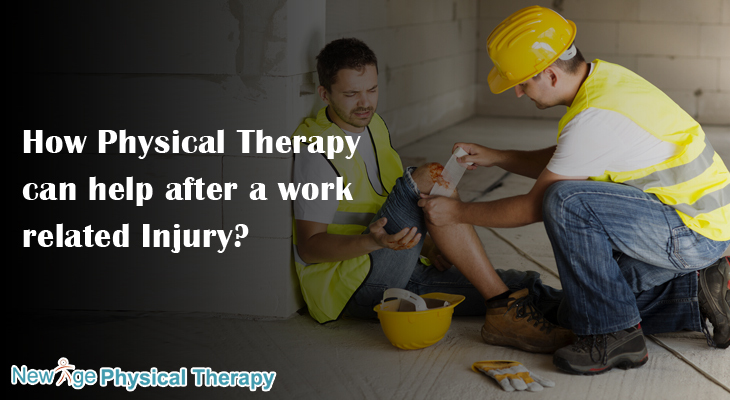 How Physical Therapy can help after a work related Injury? Getting injured on the job is no fun. Workers who get hurt at work are most worried about when they can go back to work. How long they will be out? Will they able fulfill their financial obligations? It is very frustrating to get hurt either at work or somewhere else. Workers should know what steps to follow once they get hurt. Many people who do a lot of labor such as construction work, contractor, loading/unloading etc. are more prone for injury. But people in any work environment can get hurt may be due to repetitive activities, slip and fall etc. After you are injured at your work you should report injury to superior then you should seek immediate medical help.Your health and well-being should always be your top priority. Once you seek medical help physician will explain you type and extend of your injury and what measures to take for getting back to work. Physical therapy depends upon your type and severity of injury. Patient may need physical therapy if he had any orthopedic injury. In most extreme cases patient may need surgery. Other injury can be treated with conservative method like pain killers, anti-inflammatory, rest, injections and physical therapy. In most cases physical therapy can help to improve patient’s functional level. Physical therapist can help you to alleviate pain by modalities like hot packs, cold packs, electrical stimulation, and ultrasound. Therapist can help with range of motion, strength. 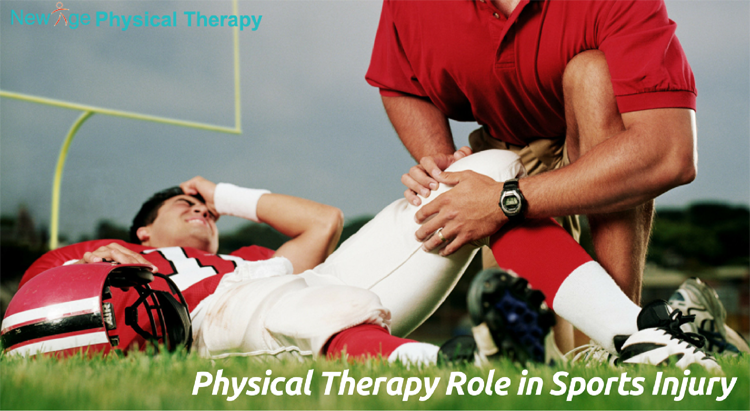 Physical therapist can make a treatment plan based on your injury. Therapist can give you particular exercise plan to carry out at home for faster recovery. Our physical therapist is treating this kind of conditions for more than sixteen years. We offer direct access to physical therapy for patients so setting up an appointment doesn’t require a prescription. Just call and see how we can help you with your injury. When any woman asked “What activities are safe for me since i am pregnant?” We need to assess situation and prescribed safe exercises. What are the best and safe activities for pregnant woman? Safest exercise for pregnant woman will be walking and swimming. Some low impact exercises like dancing as long as it doesn’t involve jumping and sudden jerky movement it should help to bring heart rate up. Low impact strengthening exercises will be great. However therapist should focus on a individual person. Every woman is in different physical shape depends on their life style; so one exercise program not going to fit all. We need to have detail conversation with them about risks, benefits and appropriate modification as the pregnancy progresses, signs to look which for that they aren’t tolerating the activities. Try not to change their exercise pattern much away from what they normally do or what they normally love. We have presumed that certain activity like yoga is safe for pregnant woman. However some study suggests that teaching yoga to a pregnant woman who never did it might lead to safety issue. We must also consider the emotional component of someone’s fitness choices. What that means is doing not change their lifestyle completely upside down and told them to do exercises which they have never done before. Not only it will be more unsafe but patient’s compliance ratio will drop. In addition, if a woman is very active and we know that she is going to go back postpartum quicker than we think is “safe”, then perhaps maintaining them close to their baseline with their preferred activity will optimize their recovery. Bottom-line keeping pregnant woman safely active during her pregnancy will help her in her post partum recovery. 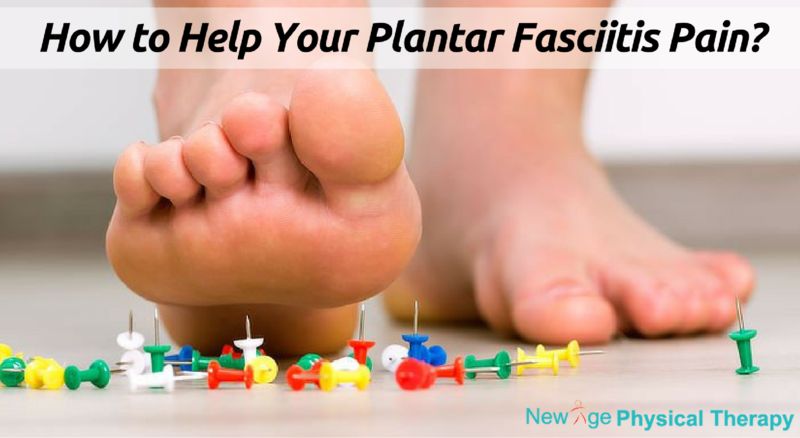 While we are talking about plantar fasciitis then it is painful situation that may limit your ability to even walk and sometime you can’t run too. This situation occurs when the plantar fascia, the tough tissue on the bottom of your leg foot, and it becomes inflamed or irritated. This may occur if you have high span, having tightness in the muscles of your lower leg for Sports Rehabilitation, or if the bottom of your foot paining from overuse and repetitive strain. Administration of plantar fasciitis includes an exhaustive evaluation from your specialist or physical therapist to decide the reason for your foot torment. Starting administration of plantar fasciitis includes controlling the fiery procedure in your foot. This typically includes utilizing ice to diminish the torment and aggravation in the plantar sash. Ice packs can be connected to the base of your foot for 10-15 minutes, a few times each day, to control the irritation. Another approach to apply ice to your plantar sash is with the ice bottle knead. This application procedure has the additional advantage of tenderly kneading the tissue on the base of your foot. The ice-bottle back rub can give a delicate extend to your plantar belt, which may enhance general versatility in your curve and foot. 1. Get a plastic water bottle. On the off chance that you’ve bought filtered water, you may wish to really drink it in the first place, since you effectively paid a top notch cost for sifted or spring water. 2. Fill your water bottle around seventy five percent full. Put the container in your cooler, and leave space for the water to grow as it stops. 3. Keep the top off the jug as the water solidifies, yet spare the top. Make certain that the container does not tip over in your cooler. 4. Wait for couple of hours for the water to stop, and after that evacuate the jug and put the top on it. 5. Sit in a seat and lay the ice bottle on the floor on its side. 6. Gradually roll your difficult foot over the water bottle, and then press delicately into the container to knead your excruciating plantar sash. 7. You can play out the ice bottle knead for 10-15 minutes a few times each day simply make sure to store the water bottle in your cooler after every utilization. Once the irritation in your foot is under control, you may need to enhance the adaptability of your calf and plantar belt to additionally deal with your condition. The plantar fascia extend and the towel calf extend are two straightforward and powerful approaches to enhance the adaptability around your lower leg and plantar belt. In specific cases patient may require orthotics to right foot position. Physical therapist may utilize kineso tape to treat resolute heel torment. Podiatrist or lower leg/foot pro may give you a cortisone shot to alliviate intense agony and may recommend you hostile to inflammatory. Plantar fasciitis can be a reason for foot torment and may confine your capacity to perform every day movement. Yet, customary utilization of ICE back rub of ICE pack can truly control your torment. 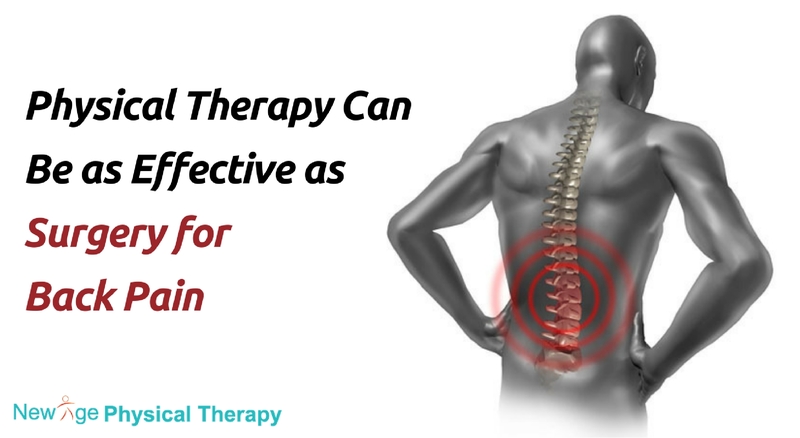 While we are talking about treatment of lumbar spinal stenosis pain in the lower back area, effective physical therapy can be as better as operation. Patient should always try conservative method before going for spinal surgery. Some studies have found equal benefits between physical therapy and decompression surgery for lubar spinal stenosis. Spinal stenosis is a narrowing of the open spaces inside your spine, which can put weight on your spinal string and the nerves that go through the spine to your arms and legs. Spinal stenosis happens frequently in the lower back and the neck. Narrowing of the spinal channel in the lumbar locale from age, joint inflammation or numerous different elements can pack the spinal rope or the nerve attaches leaving the spine to frame vast nerves. Coming about pressure of these nerves can bring about torment, deadness and shortcoming in the lower back, rear end, thighs and legs. Decompression surgery is currently the quickest developing intercession in the more seasoned populace. Comparative path pressure of the nerves in cervical spine can bring about torment, deadness and shortcoming in neck, arms and hands. Numerous orthopedic specialists are performing spinal combination for specific cases and it’s been compelling in a few patients. In any case, as parcel of studies has indicated rise to profit by talented active recuperation, patients ought to be urged to go through all traditionalist treatment first before pondering surgery. For complete back pain solution for this pain you go for Physical Therapy New Hyde Park, NY where you will get complete spinal physical therapy solution. 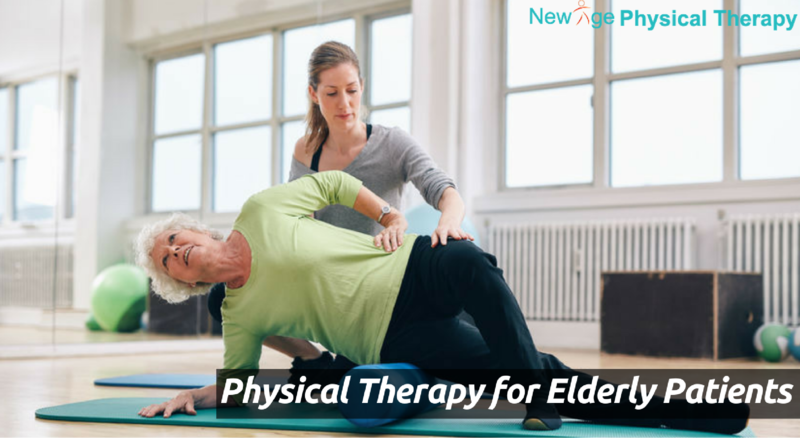 How New Age Physical Therapy Can Help Elderly Patients? Now a day physical therapy is commonly used among all people who suffer with pain, stiffness other orthopedic, neurological conditions. It could be due to accident, fall, sports, unknown reasons or age related. Most of the patients feel that their quality of life has improved after physical therapy. Keeping physical therapy benefits in mind, for many older people physical therapy is effective to improve their mobility and function. Older patients may need physical therapy due to many reasons. Most common reasons are arthritis, walking difficulties or balance problem. Physical therapy can restore or increase muscle strength, improve range of motion in effected joints, improve flexibility, coordination, and endurance. Along with these benefits it can also help to reduce pain by different pain modalities. The most common pain and stiffness occurs across knee, hip, shoulder, neck and back. As symptoms get progressively worst most patients will have trouble with their daily activities of living. As people get older they lose muscle mass, lose flexibility in their muscle which put more stress on their joints, in turn lead to pain and stiffness. Also as you get older activity decreases this promotes muscle mass loss. At New Age Physical Therapy we keep our patients in their game, life style by helping them to relieve their pain. We have skilled therapist who can assess your problem and make a unique treatment plan which can put you back on track. We also educate patients on their home exercise plan which can make them independent in their own well being.